The EU Charter of Fundamental Rights and national courts: the question of scope, direct effect or justice? The presentation will explore the impact of the Charter of Fundamental Rights on the role of national courts in ensuring protection of EU fundamental rights. In particular, it will focus on ways of limiting the use of the Charter to expand national courts' obligations or of resisting the centralising effect of the Court's case law on fundamental rights protection in the EU. So far the case law of the Court of Justice of the EU has used primarily the issue of the Charter's scope of application (Article 51(1)) as the only relevant consideration where judicial obligations were considered. This approach is particularly problematic in the so-called 'horizontal' cases because it does not allow variations in their treatment under the Charter. Another possibility would be to use the doctrine of direct effect which would lead to a distinction between harder and softer effects of the Charter, but once again it would not deal successfully with horizontal situations. For these reasons, the presentation will argue that justice-related considerations should be used to determine the limits of national courts' obligations stemming from the Charter. Due to their nonformalistic nature they would apply with equal force to 'general principles', ensuring coherence in the Court's case law concerning fundamental rights. While treating the question of the Charter's role in defining judicial obligations as a question of justice may prima facie seem an approach which dangerously empowers the Court to expand the reach of EU law, the presentation will argue that in reality it offers better protection against the Court's activism. The concept of justice invites the Court to articulate the substantive reasons for why the Charter should be taken into account by national courts leading to the expansion of Member States' or private parties' obligations stemming from EU fundamental rights. Equally, focusing on substantive considerations would enable the Court better to assess in which situations the Charter should modify obligations of national courts despite considerations of subsidiarity and conflicting national constitutional traditions. Most importantly, approaching the effects of the Charter as a question of justice makes it difficult for the Court to treat arguments from effectiveness and uniformity of application of EU law as sufficient to justify the centralising effect of the Court's case law on fundamental rights protection in the EU. Dr Dorota Leczykiewicz is Leverhulme Trust Early Career Fellow in the Faculty of Law and Fellow by Special Election in Trinity College, where she teaches Tort and EU Law. 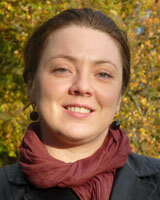 Her research interests focus on legal reasoning, comparative private law, and EU constitutional and private law. She holds a DPhil from the University of Oxford in comparative judicial reasoning in Tort law. A book based on her DPhil thesis is forthcoming with Hart Publishing. She is one of the senior convenors of the Oxford EU Law Discussion Group. Her publications include articles on the EU law of remedies, European private law, the Charter of Fundamental Rights, as well as the question of private party liability in EU law. Together with Professor Stephen Weatherill she organised a conference and edited a collection of papers on The Involvement of EU Law in Private Law Relationships (Hart Publishing 2013), funded in part by a grant from the British Academy. Currently, she is co-organising a conference on 'The Image(s) of the Consumer in EU Law: Legislation, Free Movement and Competition Law'. Her Leverhulme project investigates concepts and principles which govern applicability of EU norms against individuals. Its purpose is to identify the inherent limits of applicability of EU norms in horizontal relations, such as those stemming from established doctrines of EU law and considerations of private autonomy. Currently, she is working on the question of the content and scope of application of EU fundamental rights standards, the role of consequentialist arguments in EU private law, and on selected aspects of legality review in the EU.